An array of high profile art and jewellery sales dominated the news last week, marking a monumental time for auction houses across the globe. With a set of astonishing results throughout the board there were several significant record-breaking sales. The week begun in New York with Christie’s Impressionist and Modern Art Evening Sale, where the top price of the night was reached by Lot 32; Constatin Brancusi’s ‘La Muse Endormie’. The bronze female head, created by Romanian born Brancusi, was cast in 1913 and was the first in the artist’s series of iconic ovoid sculptures. Brancusi is considered as a true pioneer of modernism and deemed one of the most influential sculptors of all time. ‘La Muse Endormie’ was sold after 9 minutes of bidding for $57.37million (£44M), setting a new-record for the artist and fetching significantly more than twice its lowest estimated price. There were 5 bidders dramatically fighting for the win and in the end the sculpture went to an anonymous bidder, via Tobias Meyer. Although the Brancusi raised the most amount for the evening other notable sales included Chagall’s 1939 ‘Les trois cierges’and Picasso’s ‘Femme assise dans un fauteuil’ (1917-20), overall securing the sale as the best Impressionist and Modern Art result since 2010. The sale achieved an astounding total of $289.1M with over 78% of the lots sold. The record-shattering results represent a 104% increase on the same sale this time last year. The following day it was over to Geneva where Sotheby’s auction of Magnificent Jewels & Noble Jewels, saw the sale of the most expensive pair of earrings in the world.The mismatched pair, made up of two coloured pear-shape diamonds, went for a combined price of 57 million swiss francs (£44.9M). Although they were separate lots, the same bidder acquired the two ensuring they remain as a pair. Named after the ancient Greek gods; Apollo and Artemis, the two diamonds were perfectly matched in size, cut and tonality, but different in colour; one being Fancy Vivid blue (Apollo) and the other Fancy Intense pink (Artemis). The pair have subsequently been renamed ‘The Memory of Autumn Leaves’ (blue) and ‘The Dream of Autumn Leaves’ (pink). The Apollo Blue is record breaking in itself; at 14.54 carats it was the largest internally flawless blue diamond ever offered at auction. The sale saw an astonishing 90% of lots sold at a total of $151.5M. The week concluded with Sotheby’s, New York Contemporary Art Evening Sale where the star of the show was ‘Untitled’, by American artist Jean-Michel Basquiat’s. The 1982 work in oil stick, acrylic and spray paint fetched an incredible $110.5million (£85M), breaking the salesroom record for any work by an American artist sold at auction. 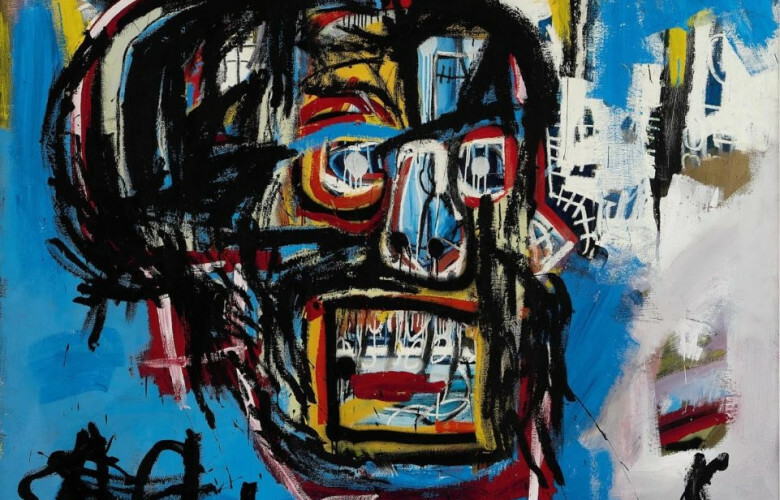 It also marked the first piece created since 1980 to top the $100M mark and is the 5th highest ever auction price. Belonging to the same private collection since it was bought at auction in 1984, the piece was virtually unknown before being unveiled at Sotheby’s in anticipation of the May Contemporary sale. Basquiat however, was very much in the public eye before his tragic death at the age of 27. The sale of ‘Untitled’ has ensured Basquiat’s entry into the ‘pantheon of artists’ whose work has commanded more than $100M. Overall the evening outperformed its pre-sale estimate by generating $319.2M from the 96% of lots that were sold.